While I was still riding high on my new find, I became stricken with sadness; on two levels. One that my dad, the one who started this "operation" was no longer living. I couldn't call him up and say "hey! Guess what I just learned!" He would have been so excited - the information about the military would have fascinated him. The bit about Harrison being "a man of honest, upright character in all his dealings. he was well educated, as were all his brothers and a pleasing gentleman to converse with, having seen much, and observed and thought much about what he had seen" would have tickled him no end! (Ironically my parents had, several years before my dad passed, built a summer home/retirement home in Michigan - never once knowing the Faulkner family history in the state.) The other was the statement that James owned slaves. Even though it is a fact of this country's history, it is still very unsettling to be confronted with the reality that your family was a part of it. Failing to "consider the source" I lumbered ahead like a toddler after a toy and plugged this new information into my Ancestry tree. Looking back I wonder if my excitement hadn't blinded me more than necessary. If I had kept my head I would have avoided more than several rabbit holes and BSO's! But, I was racing to 'win' genealogy, so there's that. 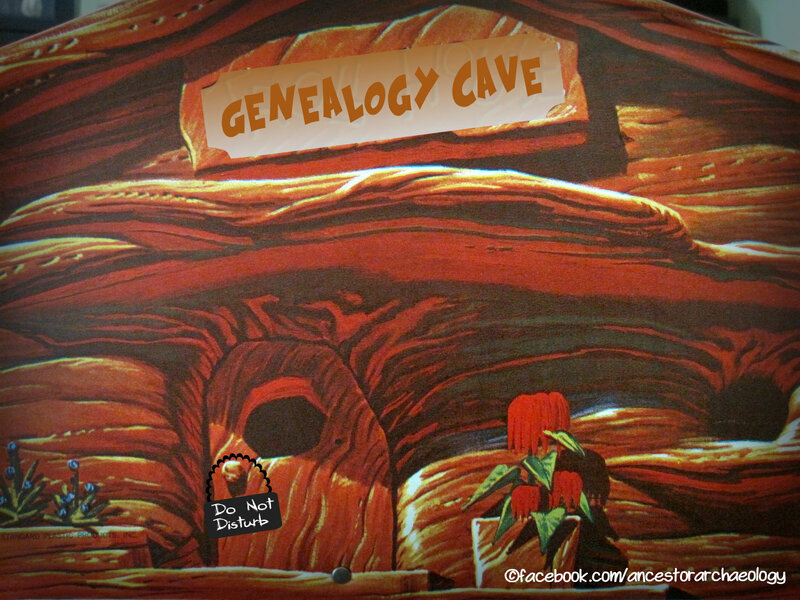 Ancestry unfortunately gave me more than I could process at first. For some reason, unknown to me to this very day, I got a "hit" on over 15 land grants in Whitley Co Kentucky that returned for not only James, but also Harrison. Land grants for thousands of acres purchased on or around 1816. Consulting a map I saw that Whitley Co., KY is very close to the Tennessee border - could this be the plantation written about in Harrison's obituary? I sent away for copies of the grants, hoping to discover why Harrison was being listed along with James on the land. Next I did an internet search of Grass Lake, Michigan. I managed to find Genealogy Trails for Jackson County, MI and the Jackson County Michigan USGenWeb Project page. At the Genealogy Trails site I made a good find! It was here I discovered a brief bio on James, learning that he had erected the first hotel in town in 1834. I also learned that the Michigan Central Railroad came to town in 1842, perhaps corroborating Harrison's obituary. The census records I consulted added an additional layer of confusion. In 1840 I found a James Faulkner in both Grass Lake, MI and Whitley Co, KY. There was a James Faulkner in Whitley Co, KY in 1830 and 1820. I couldn't wait to get those land grant copies! In the interim I had discovered the upper_midwest Yahoo group and posed my query there. That group pointed me to two publications, History of Jackson Co, MI and DeLand's History of Jackson County, MI, (not the same book) which held some information on James and his wife Martha (not Jane! The cemetery inscription for Harrison was wrong!) It was in the DeLand's History that I discovered James had a daughter named Nancy...... and 8 other children! Now before you think that I am some sort of genealogical wiz, or that this all happened in a matter of days, the truth of the matter is that this ferreting out of James took well over 3 years! I am recanting this from faded memory as another five or six have passed since that time. And, to be considerate, condensing most of the bits that don't make for good storytelling. The tedious hours filtering through records only to come up empty are best kept to myself. I am if nothing else tenacious, and I don't rest if I have not found the answer. There were periods that living with me was, perhaps, a bit dicey? But I soldiered on and eventually made some breakthroughs. The land grants finally arrived. Yes, a James Faulkner did purchase a considerable amount of land, but there was no indication as to whether this was my James. And there was absolutely no mention of Harrison. A mystery, indeed. It was through Deb, an upper_midwest group member, that I later discovered more of the children's names and the town in New York where Harrison and many of the other children had been born. Wallkill, Ulster Co., New York. She also led me to James' obituary and introduced me to Find A Grave, where she had been documenting all of Grass Lake and had done a splendid job of recreating my ancestor's family. Col. Faulkner was a citizen of Orange Co. N.Y., previous to his residence here. In the War of 1812 he was in command of a regiment stationed on Staten Island. Afterward he was an officer of the State Militia. He was elected to the Legislature for several terms, and supported the measures of Gov. Clinton, particularly for the construction of the Erie canal. This course gave offense to his constituents, but later years justified its wisdom and value. In 1833 Col. Faulkner removed to Michigan, at that time and for four years afterward a territory. He located at Grass Lake, then a wilderness. For a number of years he pursued a retired life, though not indifferent to the events of the time. When the late national conflict came upon the country, though past 80 years of age, he comprehended the issues and committed himself upon the side of freedom. His life covers almost the whole period of our history as a nation - extending to within three years of the Declaration of Independence. Col. Faulkner was a man of more than common physical and mental vigor. He was self reliant, independent, cheerful and deliberate. His parents were members of the Presb. Church O. S. His ancestors were from Scotland. For a number of years past he was a constant reader of the Bible, and gave evidence that he had found comfort and peace. The present generation are deeply indebted to these men of the past. We inherit the valuable fruitage of their wisdom, toil and self sacrifice. 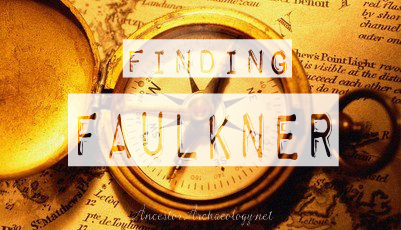 Mr. Faulkner was a man of more than ordinary ability and learned surveying early in life, which profession he followed in his native county, laying out many of its lines and boundaries. He did gallant service as a Colonel in the War of 1812, and for several years was at the head of the New York State Militia. In politics he affiliated with the Democrat party and represented his native county in the New York Legislature one term. As a business man he was careful and conscientious in his dealings and one who enjoyed in a marked degree the confidence and esteem of his fellow-citizens. After a long and well spent life, he departed hence at his home in Grass Lake Township, April 21, 1869, when eighty-nine years old. Col. Faulkner built the first frame house in Grass Lake Township and cut the first stick of timber on his land. The wife and mother had preceded her husband to the silent land many years, her death taking place about Christmas time, 1845, when she was probably fifty six years old. There had been born to them eleven children, eight daughters and three sons, nine of whom are living and mostly residents of this State. Eleven children?!? DeLand's claimed there were ten. I still had not found all of them. Now, I needed to find one more. Thinking back, Harrison's obituary had said 'brothers'. So far I had found only one. In another history of Michigan book there was this sentence: "Faulkner, James Col entered for land in Grass Lake Twp Jackson Co Michigan on 15 Jan 1836 in the same section as Nelson Faulkner" (From Pioneer Families of SE Michigan-Jackson Co by Helen Lewis) Nelson Faulkner? Who is Nelson? My first thought was brother, but then I started wondering if Nelson was that third son I was looking for. As much as I wanted to head to New York, I knew my time in Michigan was not satisfactorily concluded. There was still much to be learned. Children's names, Harrison's involvement with the railroad, who Nelson was, and that darned plantation incident. I still needed to get to the bottom of that!